ATM crimes are on the rise in the United States, especially since many ATM deployers have yet to upgrade their terminals to EMV and debit cards issued by American financial institutions still include a mag stripe, which is easy to duplicate. Common threats include smash-and-grab raids to high-tech attacks, such as card shimming and card skimming. US ATM deployers are also beginning to see more ATM Jackpotting and explosive attacks. According to a new whitepaper, Improving ATM Security, familiarity with your ATM terminals is one of the best ways to secure cash and sensitive information as knowledgeable technicians have a better chance of spotting tampering and malicious hardware on a unit. Placement of ATM terminals can also have an impact on security. Soliciting a criminal activity report from local law enforcement prior to placing ATMs in the field can make terminals safer for potential customers according to ATM Safety and Security Tips published by the LAPD. Locations that are safer for customers are also more secure for the ATM owners. The criminal activity report can also help determine what type of security would best suit each location. Installing concrete pylons or bollards create a physical barricade around the ATM. Designed to sustain high levels of impact and prevent damage to store fronts and free-standing ATMs, these security measures help prevent smash-and-grab attacks. Other physical deterrents include ATM body armor that surrounds the terminal in steel plating and anchor kits. Bolting the ATM to the ground provides an extra layer of security as most anchor kits are designed to withstand high impacts. Many attacks happen where the ATM is most vulnerable, the top cabinet. Upgrading locks and managing key access is a sound method of preventing unauthorized entry to the terminal, where the main board and dispenser connections are housed. The installation of alarms at ATM access points will notify site staff that the terminal has been breached, adding another layer of security. 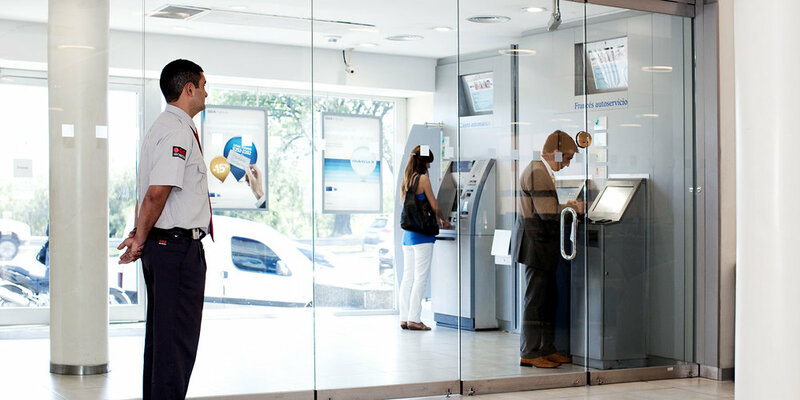 Investing in security management software with remote diagnosis or other monitoring solutions allows ATM owners and operators to manage and monitor terminals in real time. Most security software contains features that scan for unusual transaction and/or service activity at each ATM and send alerts when suspicious activity is recorded. The slow migration to EMV has left ATMs in the U.S. susceptible to a variety of cyber-attacks. Installing software updates and security patches in a timely manner is vital to protecting the terminal’s operating system from unauthorized downloads of malware and skimming software. Regularly updating access passwords and monitoring employees and technicians who have access to the ATM adds another layer of security. Installing surveillance cameras acts as crime deterrent and helps protect both the ATM deployer and customers. Video cameras can be installed at the site to monitor the ATM and surrounding area or on the terminal itself. Even when thieves wear hats, sunglasses, etc. those items can still act as identifiers for local law enforcement. The proper combination of prevention strategy and technology can greatly reduce the risk to ATM terminals. To find out more about potential threats to ATMs and solutions available to protect them, download the new MVP Financial Equipment white paper, Improving ATM Security, here. About Mark Smith — A leader in the ATM industry for over 20 years, Mark serves as Business Development Director with MVP Financial Equipment, a U.S.-based full-scale ATM refurbishment and parts distribution company. He manages MVP’s VAR (Value-Added Resellers) program and provides resellers to financial institutions with a wide range of cutting-edge and affordable products and services that increase sales and provide customers with added-value. Connect with Mark via email or on LinkedIn.